This TVB Drama starts with MING SUM-ON (Lee Sze Kei) running the jewelry shop after her husband passed away. With the help of two jewelry designers, MA HO-MAN (Cheng Tse Sing) and his wife CHENG KIU (Teresa Mo), SUM manages to make the jewelry business a big success. Later on, SUM had a divorce with MAN and this changes eveything. SUM’s youngest uncle (Lee Sze Chit) tries to help them maintain their relationship, but it doesn’t work. 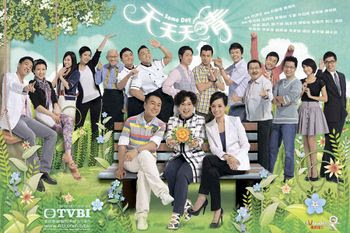 On top of the dispute with KIU, SUM is also troubled by the Administrative Consultant CHU BO (Lau Tan) who is assigned by her husband’s family and the rebellious step daughter SHEK HO-YEE (Aimee Chan). After the divorce, KIU restored from depression with the comfort of her best friend LAM CHING-LING (Kristal Tin). KIU immersed herself completely to work and became a demanding workaholic. Consequently, she is promoted as chief designer and achieves great success at work. - The cast will be similar to the "Off Pedder" cast, and they will have different characters. 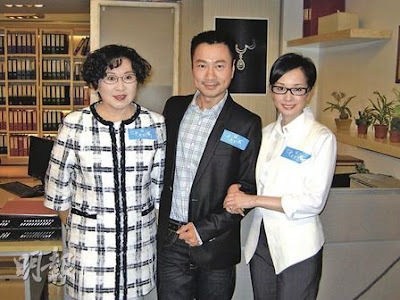 - The storyline will revolve Louise Lee, Wayne Lai, and Teresa Mo. - The sitcom will be more practical and more dramatic. - Louise Lee will play a widow who will take over her deceased husband's jewelry store. After she takes over the jewelry store, the sales start to soar, and her deceased husband's family will then come and try to take the store back. - Aimee Chan will play Louise's daughter. - Teresa Mo will play a jewelry designer, who is Louise's subordinate. She is married to Cheng Tse Sing, who is the chief designer. - Wayne Lai will play Louise's brother, who is a doctor. - Crystal Tin will play a cosmetology technology sales manager. - Tsui Wing will play an administrative assistant named Kwok Wai Lung. When he was young, his brain was affected because he had a fever, but he has a very good memory. He will live in a dormitory with Law Tin Chi and Lau Dan. - Raymond Chiu will play a sales manager named Tony. He is honest, humourous, and sincere. - Janet Chow will play a receptionist in Wayne's practice. She and Jason, who is a salesperson, will have a relationship.